Every office needs a printer, but if the one you manage or part of needs to perform the tasks of printing, scanning, copying, and fax at the same time, and on a consistent basis, it means you should consider investing in multifunction printers. You can always go for a conventional printer if you seldom need to do those other tasks. However, it wouldn’t make sense if you choose to buy a standalone printer and then purchase a separate fax machine, photocopier, and scanner. You can address all your office document processing needs with a multifunction printer. There is more to a multifunction printer than the mere fact that you can do multiple things with it. In this post, we’ll give you the reasons why it makes perfect sense to go for it. 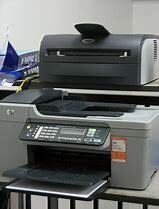 The first thing you must realise about multifunction printing devices is that you get to save office workspace. The reason is that you no longer must accommodate several devices since one machine can do it all. So, if you have a limited or tight office space, you certainly will appreciate the concept of a printer that can print, scan, fax, and photocopy. Aside from giving you the opportunity to use as little space as possible to accommodate one device with multiple functions, the decision to purchase a multifunction printer also means you have the chance to reduce or minimise operational costs. You become a bit more cost-effective than before since you do not have to purchase as well as maintain multiple machines. It is true that the initial or upfront cost of buying multifunction printers is higher compared to a conventional printer, but you still can save money in the long run when you use one device over three different machines. For instance, you no longer must use electricity and plug in a printer, scanner, fax machine, and photocopier all at the same time since the multifunction printer does all those things. Furthermore, opting to use multifunction printers in the office corresponds to efficiency and better productivity. You no longer will waste time navigating and transferring to different devices and machines to perform specific tasks. With a multifunction printer, you can streamline everything and make a case for efficient workflow in the office. We see no drawback in the investment for a multifunction printer. Unless you are exclusive to printing documents and won’t need to copy, fax, or scan, then you certainly will appreciate the convenience it brings. You also should know that modern printers with multiple functions come with excellent features designed for increased productivity like a fast page per minute speeds, high-quality image output, wireless printing options, and more. You never can go wrong with a multifunction printer.